Spent coffee grounds can be used for multiple purposes in your yard, garden, or farm. In addition to what comes out of your kitchen, many coffee shops are more than happy to pass theirs on to you. Neeless to say, here in Seattle it’s never been a problem collecting spent coffee grounds. The easiest way to incorporate coffee grounds is using it as a mulch. They add nitrogen to the soil, as well as potassium, magnesium, copper, and phosphorus. The carbon to nitrogen (C/N) ratio of spent coffee grounds is 24:1 which means they count as a green ingredient. They have a pH of 6.2-6.8. The coffee making process reduces the pH which makes sense because coffee the beverage is acidic. Spent coffee grounds are relatively neutral. Salinity (ECe), the measurement of total soluble salts, of spent coffee grounds is 3.7 dS/m. More detailed information about the chemistry of coffee grounds is found here. Coffee can be composted, breaks down easily and makes great soil. Better yet, it’s a great medium for bokashi. Bokashi accelerates the composting process by fermenting and pre-digesting the coffee grounds. It also prevents off odors like ammonia while composting. Spent coffee grounds will heat up a compost pile when used in large enough volumes. One advantage of using a bokashi starter on spent coffee grounds is that the finished product is easily digestable by red wiggler worms. Large amounts of spent coffee grounds can stress out worms, especially the wet grounds from a French press. Pre-digest them with bokashi and you can dump in as much as you want. As always, YMMV. 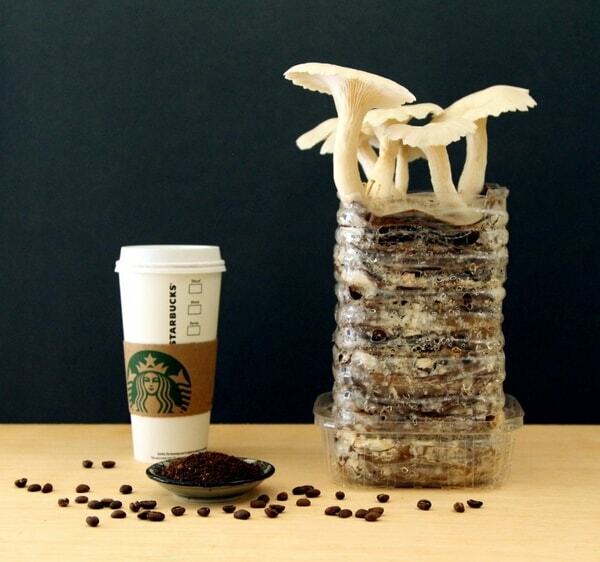 Oyster mushrooms can be grown on spent coffee grounds as well. 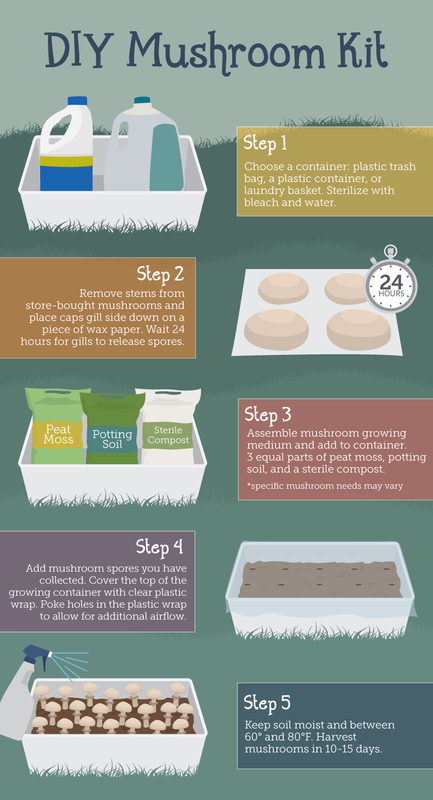 Mixed with straw and/or paper, you can grow oyster mushrooms at home. There’s lots of information online about how to grow oyster mushrooms on coffee grounds but growing them on coffee grounds and beer waste caught my eye. Beer and coffee, what more can a guy ask for? Most sources tell you to buy spawn but you can collect spores from mushrooms you buy at the grocery store. You can grow oyster mushrooms from ones you purchase.